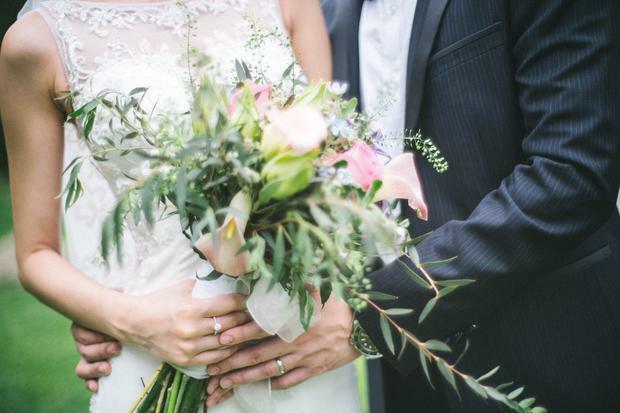 There are plenty of checklists and guides offering all sorts of boxes to tick off the week before your big day, but more importantly maybe is what you should be completely avoiding as you gear up for what is sure to be one of the happiest days of your life! Here's 10 things you should make every attempt to avoid on the run up. While it may be tempting to treat yourself to a luxurious facial the week of the wedding, it may not be the best idea. You never know how your skin will react to new products, so if there's a new face mask you want to try out, do it months before the big day. Your skin will need time to adjust, and nobody wants to wake up on their wedding day covered in a rash. "You have to ask yourself this question: With a juice cleanse, what are you really cleaning? Really, nothing," skincare expert and dermatologist to the stars, Dr. David Colbert once said. "The bowel self-cleans. It’s evolved over millions of years to do this.” Many juice cleanses or diets are low in calories, which can lead to low energy levels. Nobody wants to live up to the irritable bridezilla name! Keeping your impeccably clean wedding shoes wrapped up in a box until the big day might seem like the best way to keep them clean, but it could leave you in agony. Give your feet a few weeks to adjust to your new heels to avoid being in pain on the dancefloor that night. Weddings can be very stressful, but staying up all night won't do anyone any good. Depriving yourself of sleep can lower your immune system, making you more susceptible to colds and coughs in the lead up to the big day. Aim for at least 8 hours of sleep in the nights leaving up to your wedding so you have plenty of energy when the day arrives. If everything is getting a bit overwhelming, talk to your friends and family. Your bridesmaids are there to help and would be more than happy to lend a helping hand or an ear to listen. Weddings are supposed to be enjoyable, so take a deep breath and don't keep your feelings to yourself. Avoid alternating from your usual hair cut or colour the week before the wedding. Hair that's cut too short won't grow back in a week, and a crazy colour change could be regrettable. As the big day gets nearer, you don't want to make a rash decision that could affect how you feel on the day. Head to the hairdressers a few months before the wedding if you want to try something new. Drinking too much coffee the night before the wedding can have a negative impact on the body. While you'll have plenty of energy to finish off any last-minute jobs, nobody wants to crash and burn the night before the wedding. It can be tempting to try out a new gym routine the week of the wedding, but one week isn't enough time for your body to adjust. Pushing yourself too much can leave your body achey and sore. If you're looking to lose weight, make sure you begin months before your dress is fitted to avoid any sizing disasters on the day. If arts and crafts aren't your thing, it might be best to leave the DIY craft projects to the experts. While DIY can seem like a good idea at first to save money, starting unnecessary projects will add too much stress on your shoulders. Delegate the crafty projects to the more artistic bridesmaids instead. One or two celebratory drinks with your bridesmaids the night before the wedding is fine, but waking up with a hangover the morning of the wedding is not ideal. You won't only feel tired but the physical effects of too much to drink will show up on your face too. Leave the hangover for the morning after the wedding!